Registration is now open for the 32nd annual AIDS Walk & Run Boston, which will take place Sunday, June 4, 2017 at the DCR Hatch Memorial Shell on the Esplanade. The event regularly draws thousands of participants, making it AIDS Action Committee’s largest annual fundraiser. The Walk is 4.85 miles. The 5K Run is a competitive, timed event fully sanctioned by the USA Track & Field Association. The AIDS Walk & Run Boston will begin and end at the DCR Hatch Memorial Shell on the Esplanade. Registration and check-in begins at 7:30 a.m. After opening ceremonies at 9 a.m., the 5K Run begins at 9:50 a.m. and the Walk sets off at 10 a.m. WCVB-TV Eye Opener Newscaster Randy Price will emcee the event, which also includes a Wellness Festival, presented by Whole Foods Market, a post-walk celebration of healthy living. Participants can register for the AIDS Walk & Run Boston at www.aidswalkboston.org. There is neither a registration fee nor a minimum fundraising requirement to participate in the Walk. There is a $35 registration fee for the 5K Run. Corporate sponsors of this year’s AIDS Walk & Run Boston include The TJX Companies, Inc., Macy’s, Whole Foods Market, American Heart Association/American Stroke Association, Walgreens, Beth Israel Deaconess Medical Center, Facebook, Brigham & Women’s Hospital, Merck, Converse, Eastern Bank, Gilead Sciences, Abt Associates, EMD Serono, Partners Healthcare, Patriot Care, CamCare, Neighborhood Health Plan, ViiV Healthcare, Planned Parenthood, Pfizer, Inc., and JetBlue. In addition to WCVB-TV, this year’s media sponsors are Kiss 108, JAM’N 94.5, 101.7 The Bull, and Yelp. 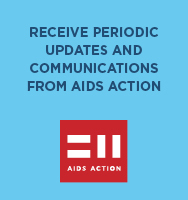 AIDS Action will support AIDS Walk & Run Boston with a robust social media outreach and fundraising plan. Walkers can fundraise through their Facebook and Twitter pages. Follow @AIDSWalkBoston and the hashtag #AIDSWALKBOSTON for information about HIV/AIDS and the AIDS Walk & Run Boston. –Between 2000 and 2014, the number of people living HIV/AIDS in Massachusetts increased 56%, placing substantial demands on existing prevention and treatment programs. –The proportion of new HIV infection diagnoses among gay and bisexual men increased from 38% in 2005 to 46% in 2014.